Advances in Cancer Research provides invaluable information on the exciting and fast-moving field of cancer research. This thematic volume looks at "Guidance molecules in Cancer and cancer angiogenesis" and contains outstanding and original reviews. 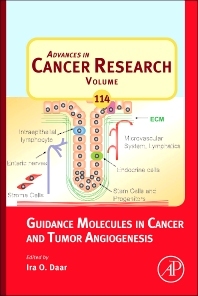 This volume looks at "Guidance molecules in Cancer and cancer angiogenesis".